The triple major champion got up and down from the front bunker at the last, holing a six footer to add a 73 his opening 71 and head into the weekend on level par. 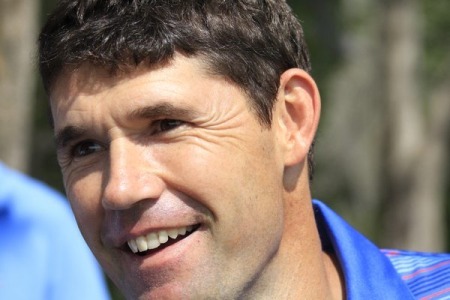 But while he hasn’t threatened to set the Masters alight with low scoring, Harrington has no doubt that he’s got the game to make a run over the next two days having made the cut for first time in three years. Pleased with his putting for the second day in the row after using the blade just 30 times, he said: “I need to play well on the weekend, but certainly it’s within reach and there’s obviously a number of players up there. “There were some good signs in the game and I just need to trust in it a little bit more at the weekend and certainly we can make up those five shots. Harrington got up and down from around 40 yards for birdie at the second, holing a six footer there. But with player partners Stewart Cink (75) and Steve Stricker (77) struggling, he didn’t have much inspiration to carry him along. “We didn’t have a lot of momentum in our group,” added Harrington, who dropped three shots in the middle of his round at the sixth, eighth and ninth. Assessing his round, he said: “A couple of different periods in the round, in the middle of the round I made a few bogeys. Then I had to keep it steady, you know. “At the sixth I hit a nice shot but I was first up on the tee and got the club wrong and came up short in the bunker,” he said. “That’s why it’s very important that your playing partners play well because they are up all the time. 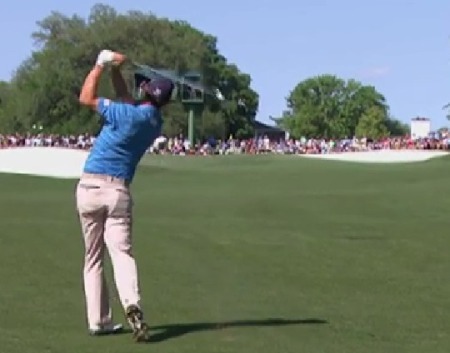 “On the par-five eighth I went through the fairway left and it’s a tough pin position if you are out of position. And on nine I hit a really bad swing off a mud ball. Phil Mickelson said that greens weren’t “Augusta-eqsue” speed following this week’s rains but he hinted that he’d like it to dry out to help create some separation at the top of the leaderboard. “There’s not supposed to be any rain,” Mickelson said after a 68 left him just three off the pace on two under. “I mean, it’s possible if they turn that Sub Air on. “Right now the greens are so soft you can just fly a ball right to the hole and have it stick. It’s letting guys get away with not having to have the right angles. Harrington is happy with the sticky conditions. “I do actually like soft greens,” he said. “I can take spin off my shots, so I’m happy about that and it gives me a little bit more room with my chip shots because I can spin my chip shots and stop them on soft greens. As for his putting, Harrington said it was the most pleasing part of his game for the second day running. Padraig Harrington fears nobody but himself and Augusta National as he bids to become Ireland’s first Masters champion.